Like most food bloggers/foodies out there, we have an ever growing pinterest board, with the list of things to make getting longer and longer. It seems like for every recipe we make from our board, we pin three more! (we’re fighting a losing battle here, people). What can we say – you guys have awesome ideas! So whenever we do actually get around to making one of the recipes we’ve pinned, we’re very proud of ourselves! Of course, we often make our own versions of these recipes, tailoring them to items we have in our pantry and to our own likes and dislikes, but really, did you expect any less? 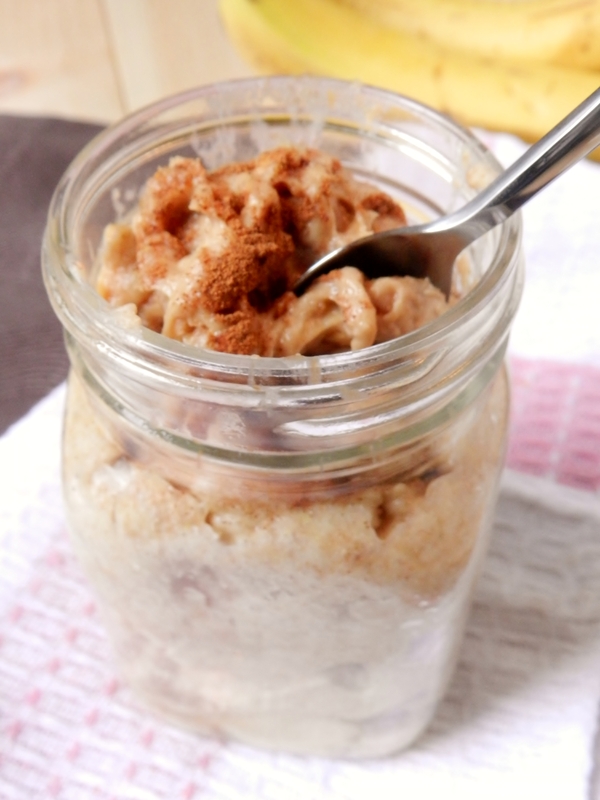 Today’s recipe was inspired by a relatively new-to-us blogger, Danny from Boy and the Rabbit. He has a unique style of writing and really tasty recipes, so if you haven’t checked out his blog yet, you should! Wow, this breakfast was even better than we thought it was going to be! And with only a 3-minute microwaving time, we have no idea why it took us so long to make it! We were surprised at how much this actually tasted like pancakes! Not only that, but the texture was perfect. 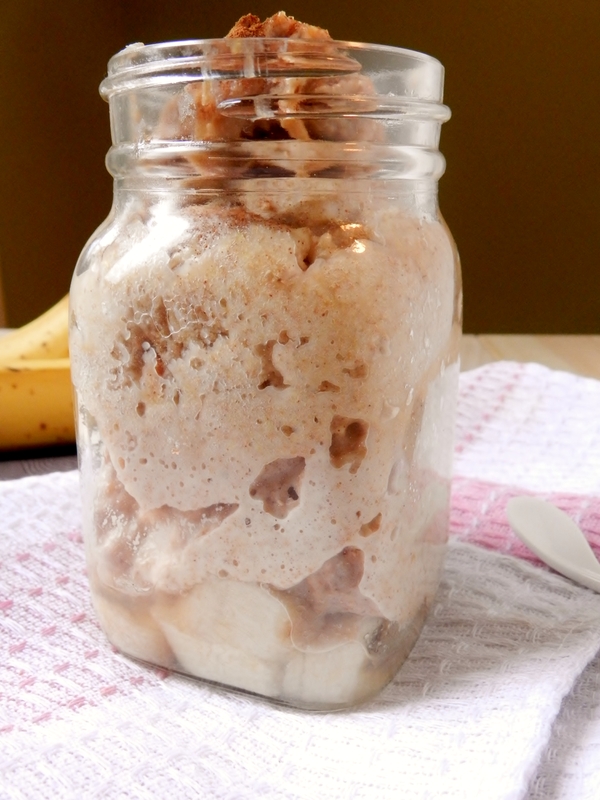 Light and fluffy, with an ooey-gooey banana bottom. Forget fruit-bottom yogurt, fruit-bottom pancakes are where its at! 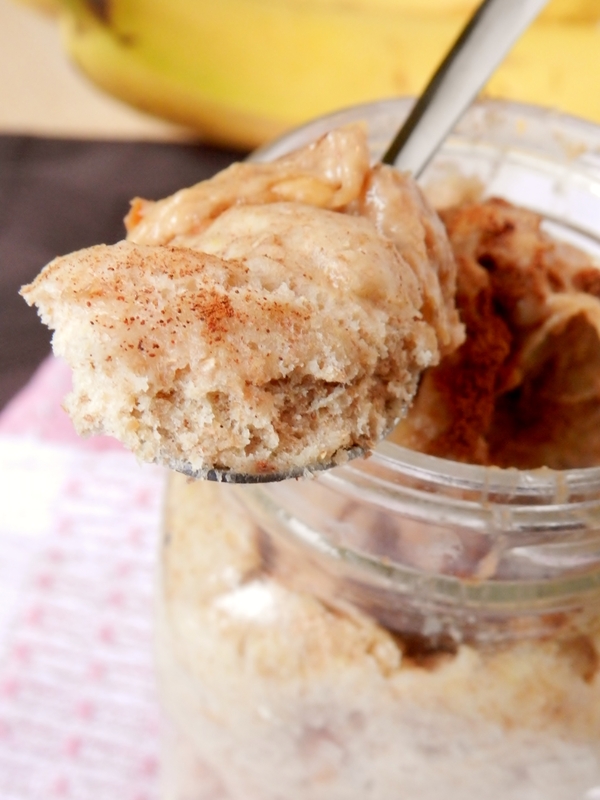 Topped with banana peanut butter (mashed banana + peanut butter), this was breakfast perfection! 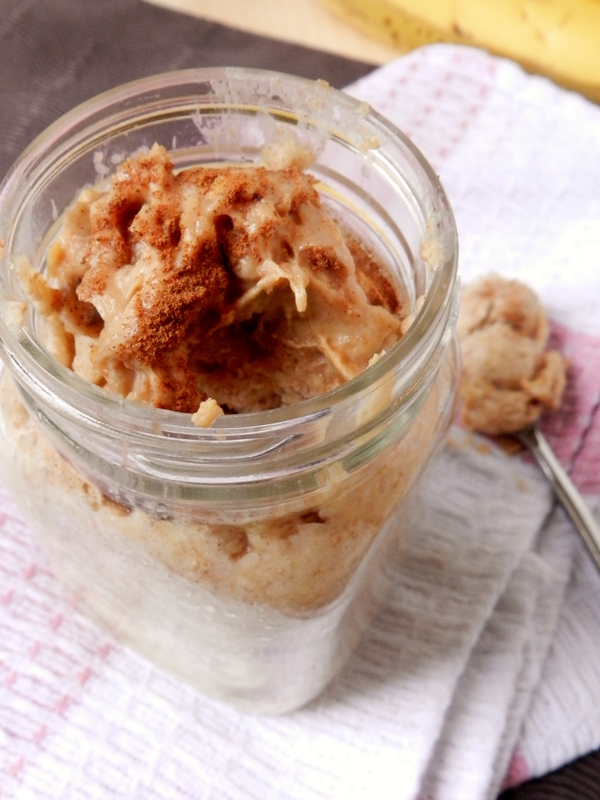 A light and fluffy pancake… in a jar… in 3min… genius. Combine dry ingredients in a bowl. 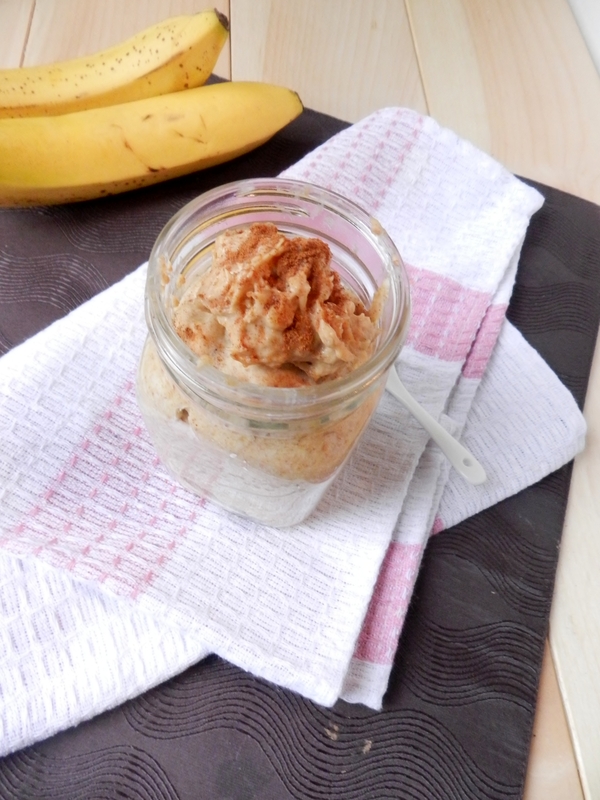 Add milk, peanut butter and honey to the dry ingredients, stir just until moistened throughout. Dice 1 1/2 of the bananas and place them in the bottom of two medium-sized jars. Divide the pancake mixture between the two jars, spooning the mixture on top of the bananas. Place in the microwave and cook for 3min. 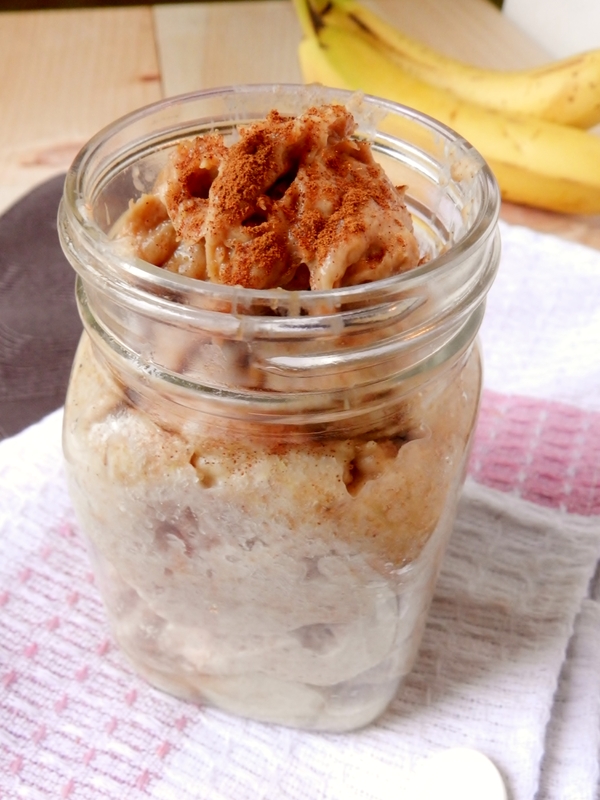 Mash the other half-banana and mix with peanut butter to top. 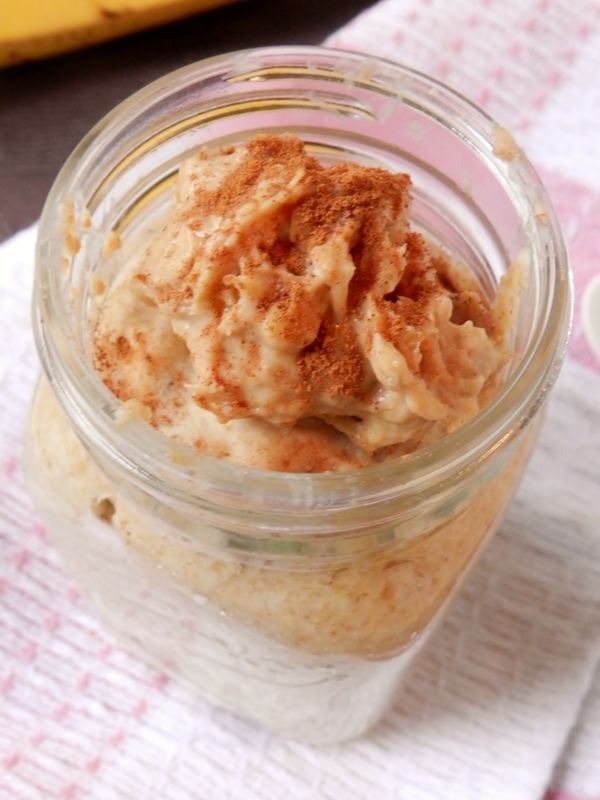 Posted in Uncategorized and tagged banana, boy and the rabbit, breakfast, easy, egg-free, healthy, high fibre, low fat, low sodium, low sugar, microwave, pancake, pancake in a jar, peanut butter, quick. Bookmark the permalink. Thanks so much! 🙂 Some blogs that we really enjoy are runningtothekitchen.com, edibleperspective.com, peachypalate.com, and ohsheglows.com. Hope that helps! I don’t have a pinterest board, but I do have a mess of word files/e-mails to myself/random notes of recipes I want to make. Pinterest would probably save me one big headache.